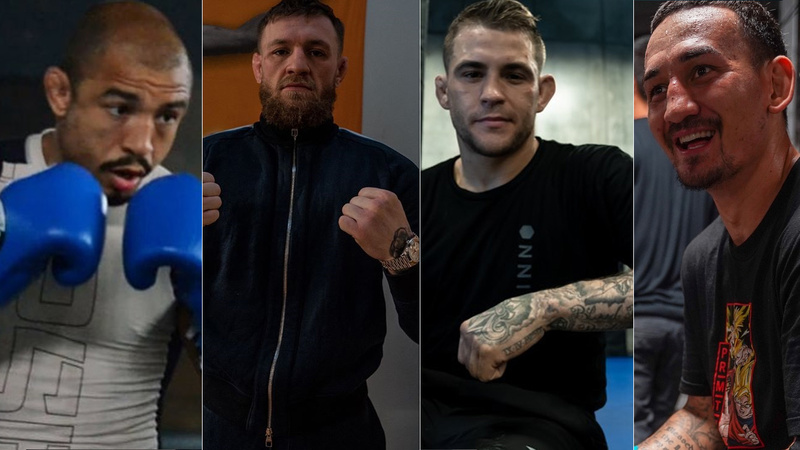 Former UFC two-division champion Conor McGregor is eagerly looking to return to Octagon later this year but who’ll be his next opponent is still in the air. Mcgregor lost fought at UFC 229 where he suffered a fourth-round submission loss against Khabib Nurmagomedov last October. Recently he was rumored to fight Donald Cerrone however talks of this bout stalled. Irishman recently held a fan Q&A session in Chicago to promote his Irish Whiskey where he discussed a bunch of fight-related topics. During the discussion, he talked about his formal rivals and keen to run it back over the likes of Max Holloway and Dustin Poirier. Currently, Max Holloway and Dustin Poirier are slated to clash for an interim lightweight title at UFC 226 in April. Mcgregor holds wins over both UFC stars. Irishman defeated “Blessed” back in 2013 via decision and “Diamond” back in 2014 via the first-round TKO. Another name Mcgregor throw in the hat is former UFC featherweight champion Jose Aldo, whom he smoked in 13-seconds at UFC 194. Aldo is back on the winning column after picking up consecutive wins over the likes of Jeremy Stephens and Renato Moicano. ‘Notorious’ believes ‘Scarface’ rise from a back that put him in a line for the second run against him. Again Mcgregor has tons of options to choose his opponent. Irishman even talked about a potential run back with boxing legend Floyd Mayweather. But I guess fight fans would instead opt to see a rematch against Poirier, Holloway, and Aldo. Who knows Conor Mcgregor might take on the winner of Poirier vs. Holloway upon his return to UFC this summer. If Conor scores a win, he has a chance to get a rematch against Khabib Nurmagomedov by the end of this year.